Baton Rouge, Louisiana – Friday, April 4, 2014 - Lamar Advertising Company (Nasdaq: “LAMR”) will release its first quarter ended March 31, 2014 earnings report before the market opens Wednesday, May 7, 2014. Lamar will host a conference call on Wednesday, May 7, 2014 at 10:00 a.m. (central time) to discuss the Company’s results and answer questions relating to company operations. 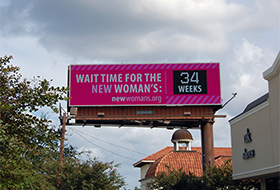 By following local regulations, billboards can remain a critical part of the financial business picture of our communities, by promoting businesses and supporting economic growth. 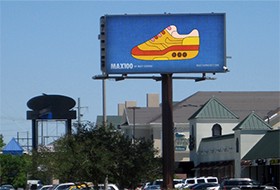 Iconic illustrations of Nike’s Air Max shoe (MAX100 Project) will run on Lamar's digital billboards nationwide starting on March 26, the same day that Nike released the Air Max shoe back in 1987.